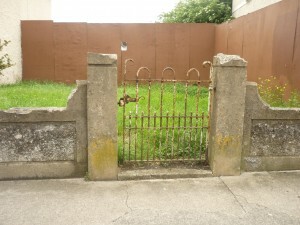 If only this poor old gate could talk, I wonder what stories it could tell. It is situated on the lower end of Carnlough Road, a couple of doors away from Mister Mac’s Shop. I wonder would it remember me and all my pals running past it on our way home from the Cabra Grand on a Sunday afternoon. Or perhaps it would recall a time when my Ma’ passed by pushing the pram and all us Coffey’s trailing behind her like little ducks on our way to town. 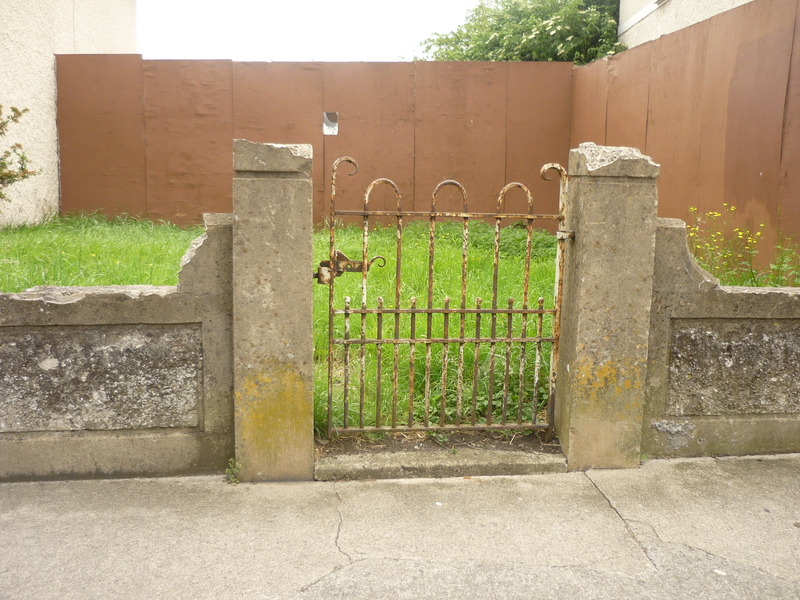 This was probably one of the first batch of houses built in Cabra West, if so then that gate is over seventy years old. And it still has its two pals, the ould pillars holding it up like some ould fella coming out of the Homestead pub.